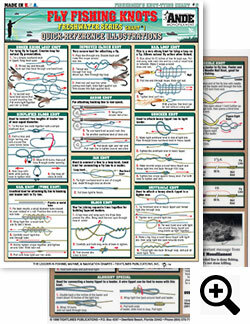 These Special Knot Tying, how to instructional charts for Big Game Bait Rigging are great for any fishing trip that requres fishing knot tying and Bait Rigging. 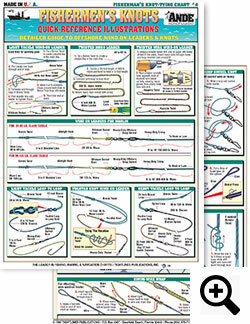 Also, these special Knot Tying how to instructions for Offshore Tuna Fishing, and Special Knot Tying how to instructions charts for Marlin and Sailfish Fishing, Bait Rigging Charts and Knot Tying techniques for Inshore Freshwater Bass, Catfish and Crappie. 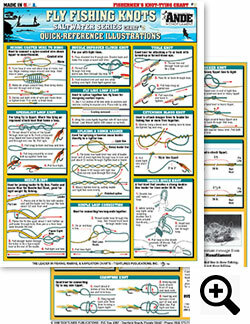 Fishermen's Knot Tying Chart #2 Contains: 18 Illustrations on how to make the perfect Knot. 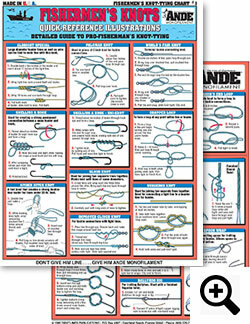 Also Includes: Terminal Tackle Uni-Knot, Leader to Line Uni-Knot, Joining Two - Lines Uni-Knot, Simplified Blood Knot, Improved Blood Knot, End Loop Knot, Homers Knot, Simple Loop Connection, Double Improved Clinch Knot, and much more. 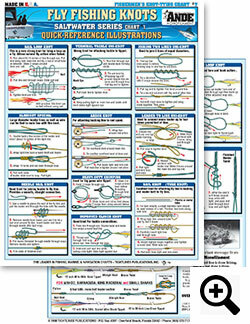 Fishermen's Knot Tying Chart #3 Contains: 18 Illustrations on how to make the Perfect Knot. 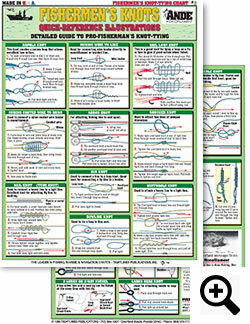 Also Includes; Rapala Knot, Joining wire to Line, Nail Loop Knot, Joining coated Wire to Line, Arbor Knot, Shocker Knot, Nail Knot ( Tube Knot ), Jan Knot, Bowline- Knot, Huffnagle Knot, Needle Nail Knot, Turle Knot and so much more. 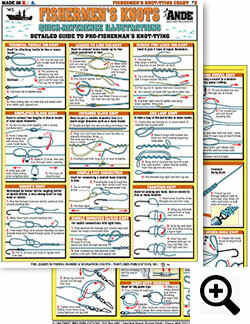 Fishermen's Wind-On Leaders &: Knots Chart #4 Contains: 8 Leaders & 6 Knots: Also Includes: Light Tackle Wind-On Leader, Twisted Mono Leader, Twisted Wire Wind-On Leader, Wind-On Leaders For Marlin & Bill Fish, Light Tackle Loop to Loop Leader, Yucatan Knot Wind- On Leader, Heavy Tackle Loop to Loop Leader and so much more. 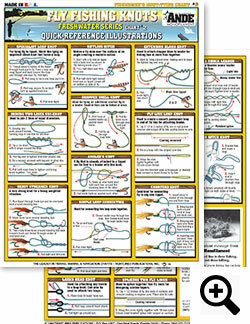 We offer Knot Tying and How To Catch Em techniques for Snook, Redfish, Trout, Knot Tying and Bait Rigging techniques for Snapper, Grouper, Kingfish and Wahoo, Knot Tying and Bait Rigging techniques for Drum, Bonefish, and Spanish Mackerel, and don't forget Knot Tying and Bait Rigging techniques for Tarpon, Jack Crevalle, Ladyfish and Permit. These are great Knot Tying and Bait Rigging techniques for Cobia, Flounder, Sheepshead and Pompano and Knot Tying and Bait Rigging techniques for Barracuda, Shark and Amberjack.